A safe home practice for grown-ups who want to reconnect with the joy of being alive in their bodies. Suitable for beginners. Do the whole class or choose a chapter for a shorter practice. 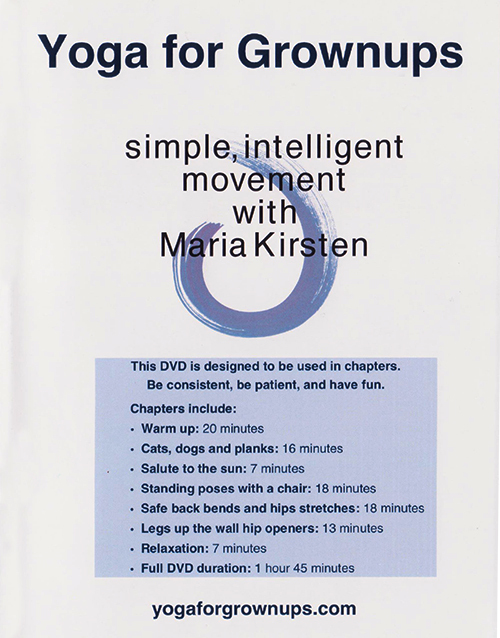 Chapters include: warm up, cats and dogs, salute to the sun, standing poses, cool down, legs up the wall, and relaxation.